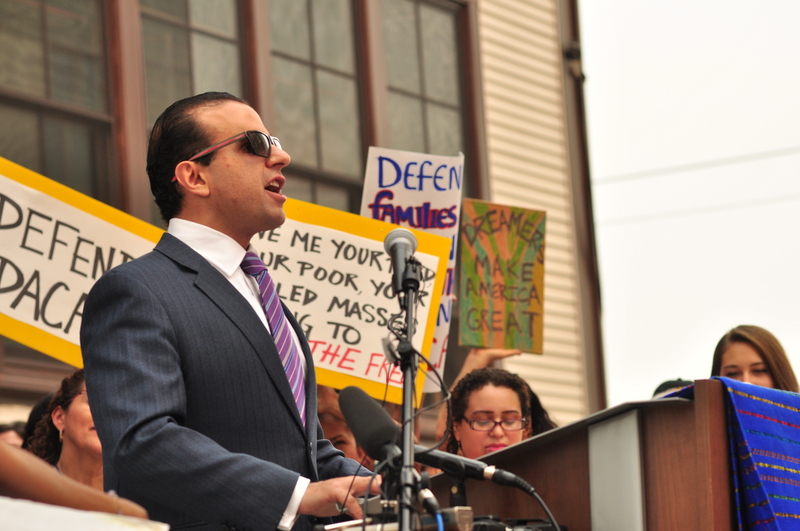 Cyrus Habib is the 16th and current Lieutenant Governor of Washington State. Born in Baltimore, Md., Cyrus is a three-time cancer survivor and has been fully blind since he was 8-years-old. His parents immigrated to the United States from Iran before he was born, and he is both the first and only Iranian-American official to hold statewide elected office in the United States. We ask Cyrus how his Catholic faith shapes his public service and how citizens and politicians alike can work toward the common good in these polarized times. In Signs of the Times, during the royal wedding, Bishop Michael Curry name-dropped French Jesuit, Pierre Teilhard de Chardin. Who was this controversial Jesuit philosopher? Next, Pope Francis is creating 14 new cardinals, and a Seattle nun is taking on the gun industry—from the inside. Plus, Irish citizens are voting today on whether or not to repeal the Eighth Amendment, which recognizes that both mothers and unborn children have an equal right to life. We discuss why repealing the Eighth Amendment will be a step back for Ireland. Finally, following an investigation into the Chilean sexual abuse crisis, 34 bishops in Chile have offered their resignation. Sexual abuse survivor Juan Carlos Cruz said that during his meeting with the pope, Francis stated: “Juan Carlos, that you are gay doesn’t matter. God made you like this and loves you like this and it doesn’t matter to me. The pope loves you like this.” We discuss the impact of the pope’s comments. Make sure to check us out on Twitter @jesuiticalshow, and send us some feedback by emailing jesuitical@americamedia.org. You can support the show by joining our Patreon community. And we are also on Facebook! We love hearing from all of our listeners weekly, and we wanted to give you all the opportunity to not just continue talking with us but to get to know each other as well! If you haven’t joined yet, go do that. And a special shoutout to our sponsor, “Pope Francis: A Man of His Word,” written and directed by three-time Academy Award nominee Wim Wenders.